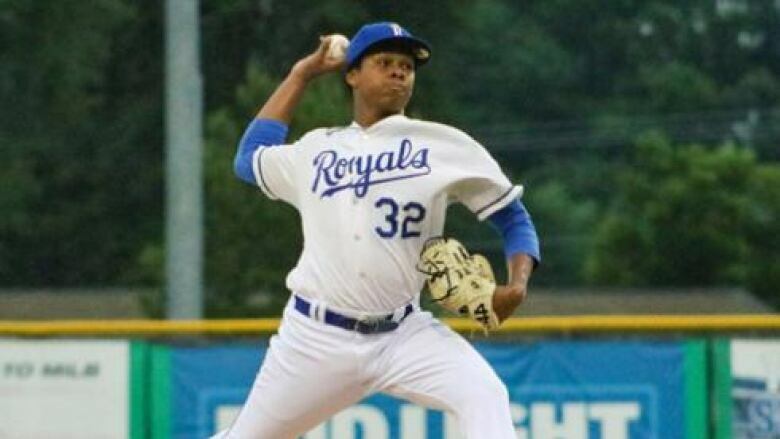 The Toronto Blue Jays picked up right-handed pitcher Elvis Luciano from the Kansas City Royals on Thursday in the Rule 5 draft while losing Canadian right-hander Jordan Romano in the selection process. Luciano, an 18-year-old from the Dominican Republic, is 9-6 with a 3.37 earned-run average through two seasons in rookie league affiliates with Arizona and Kansas City. He signed with the Diamondbacks as a 16-year-old international free agent on Oct. 1, 2016. Toronto will need to keep Luciano on its 25-man major-league roster for the entire 2019 season or offer him back to the Royals for half the price the Blue Jays paid to draft him (US$50,000). The Rule 5 draft is a means of preventing teams from hoarding major-league ready talent in the minor leagues. The Blue Jays lost Romano, a 25-year-old from Markham, Ont., to the Chicago White Sox with the third overall selection Thursday. Lefty Travis Bergen went to San Francisco with the ninth pick. Romano was 11-8 with a 4.13 ERA over 25 starts at double-A New Hampshire last season. He also made one start at triple-A Buffalo, allowing two runs over five innings to pick up the win. Romano won nine straight decisions from April 4 to May 27 before struggling with consistency over the remainder of the season. One of Toronto's most recent Rule 5 success stories was right-hander Joe Biagini, who they plucked from the Giants in 2015. Biagini went on to pitch to a 3.06 ERA in 2016, striking out 62 batters and walking 19 over 67 2/3 innings out of the bullpen. Toronto also selected right-hander David Garner from the Chicago Cubs Thursday in the minor-league portion of the Rule 5 draft. Garner was suspended for 100 games last season following a third "drug of abuse" violation of baseball's minor league drug program. The Rule 5 draft concludes the annual winter meetings.